Question: What will my dog do on a typical “Day Training” day? Answer: Early mornings are typically structured to ensure calm, safe drop-offs, so the activity level is kept relatively quiet until all of the day’s students have arrived and introductions have been made. The rest of the day is structured to keep your dog both physically and mentally stimulated in a fun, yet controlled, “home-like” environment. Before lunch, Program day dogs will have 1-2 individual training sessions, 10-15 minutes each and will “observe” the training sessions of the other students. We’ll play at least 1 group game, such as “Find It” or “Wait at the Gate” and everyone will play 1 individual game (puzzle toy, nosework, etc.). There will also be several supervised, interactive play sessions with some or all of the other dogs. At lunchtime, a 60-90 minute “naptime” is observed and the dogs are typically tucked into a cozy crate with a stuffed Kong to gnaw on while they enjoy a little downtime. The afternoon usually kicks off with playtime, a group game and the last round of training sessions. By 3:30-4:00 everyone is usually pretty mellow, so hanging out together and supervising my work on report cards and clean-up is usually the norm! Question: What’s the difference between Day Training and a Train-Maintain day? Answer: During a Program day, your dog is receiving 45-60 minutes of individual training, interspersed throughout the day, that’s focused on our agreed-upon training issues and goals. 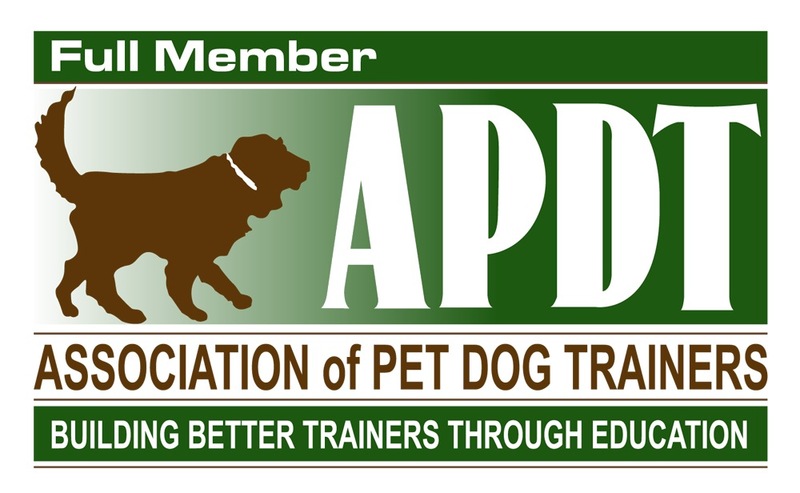 You receive a written report at the end of each day that includes recommended training exercises to work on at home, which is critical in helping your dog generalize, practice and progress with what they learn. You also accrue 15 minutes each day of private consult time, which can be combined into a longer session that we schedule separately. Train-Maintain days are designed to continue working on issues addressed during Day Training, but does not include as much individual time, a written report or the 15 accrued consult minutes. Your dog is fully participating in all group activities, playtimes and individual games as well as getting direct and indirect reinforcement and practice on basic manners and any known issues to them that we’ve been addressing. Question: How many Day Training sessions will it take to train my dog? Answer: The short answer to this question is “it depends”. It depends on your dog’s age & temperament. It depends on the training issues we’re addressing and how long your dog has been “practicing” the behaviors you want to change. And most importantly, it depends on the level of commitment you are willing to make to partner with me on consistency, practice and follow through. I can help accelerate the learning curve for both of you, but without your participation, all we’ll end up with is a dog that behaves around me at Savvy Dog, which should never be the goal! I offer a free 30 minute face-to-face meeting with you and your dog at my office to help us answer this question more specifically. Call 816-866-5364 or email me to discuss setting up this session to learn more! Question: Shouldn’t I be able to train my dog without having to bribe them with treats? Answer: You can train dogs without treats. No doubt about it. However, contrary to popular belief, most dogs don’t naturally “just want to please us”. They need to be motivated to alter their natural doggy ways into behaviors that are conducive to living with humans. This motivation can range from punishment-based methods to those based exclusively on positive reinforcement. For most dogs, food is a very strong motivator that is typically associated with positive reinforcement training methods. When used correctly, it creates a learning environment where your dog will associate pleasing you with “good things happen for me - yay!” And it’s that association that becomes the foundation for not just a well behaved dog, but a dog that trusts you and becomes a part of the family. However, used incorrectly, I agree that food rewards can become a crutch and cause a dog to only listen to you if you’ve got treats or “a bribe”. At Savvy Dog, we can teach you the difference. Question: Do you handle aggression cases? Answer: Typically, no. I do not have the experience at this point to safely and effectively assess and modify aggressive behavior, particularly towards people. However, if a dog is primarily reactive / afraid of other dogs and has not caused physical injury, I may be able to help. Feel free to call me to discuss options if you are dealing with this type of issue.